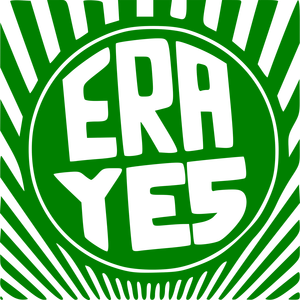 Why Not Pass the ERA? He did? It’s too bad God isn’t in charge. The male-female pay gap is real:Women working full time, year-round take home 20 percent less pay than men working full time, year-round. This statistic is based on the Annual Social and Economic Supplements of the Current Population Survey. In 2017, a woman was paid more than $10,000 less than the typical man working full time year-round. Women work fewer hours because of “home” work—child and eldercare and forgone earnings because of child-rearing breaks in labor-force participation. Once I was one of two finalists for a (part-time) writing job, and when the manager telephoned to tell me her decision, she (yes, a she) actually said it was because of my family obligations. I’d freelanced successfully for the publication—they had no problem paying me a few hundred dollars per piece as an independent contractor. As I talked with her, I thought, this is probably illegal that you said this, but do I have time – or energy – to contest this hiring? No. I was chasing toddlers, writing freelance, and managing care for elderly parents. The worst part? I understood her decision. Her alternate candidate, also a woman, because it was a low paying newspaper job, probably did devote herself more completely, with overtime, to this part-time, low-paying position and widen her own pay gap, thus cheating herself out of retirement savings. Maybe women are shortsighted for working, disproportionately, at poorly paid jobs in social work or education or journalism, but meaningful work, well paid or not, is satisfying for the individual and necessary for society. Work invigorates the imagination, adds meaning to our lives, and puts food on the table and money in 401-Ks. And make no mistake: Women need money—we live longer than men. Our low lifetime earnings mean more older women live in poverty. Del. Ransone, I know the ERA is largely symbolic. So was the Civil Rights Act. Women face wage gaps, sexual harassment, condescension, occupational segregation, and bias against women in leadership positions. Maybe you’re right. Maybe the ERA wouldn’t make a difference. But symbols are important, especially in these days of turmoil over monuments and flags. I live in Charlottesville. I can’t forget symbols. Why not pass the ERA? Why leave it to god?